On this day in history in 1853, was born Lillie Langtry. Langtry was a vicar’s daughter who became an actress and a courtesan with connections to royalty. Emilie Charlotte Le Breton, known as Jersey Lily, was born in 1853 on the Island of Jersey. She was the only daughter of the Rev William Le Breton, dean of Jersey, who had her tutored by a French governess, in the hope that she would make a good marriage. 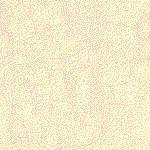 In 1874, aged twenty-one, she was married to Edward Langtry, a landowner and racehorse mogul. The couple took up residence in London, but the marriage was not successful, as neither party took the marriage vows to be crucial to the wedded state. There was one child, Jeanne Marie Langtry, the putative daughter of Prince Louis of Battenberg, an ancestor of HRH Prince Charles on his father’s side. In 1881, Langtry’s husband was adjudicated bankrupt, obliging her to take up employment. Langtry was noted for her great beauty and, on that account, it was suggested that she could take up a career on the stage. Langtry opened at the Haymarket Theatre as Kate Hardcastle in She Stoops To Conquer. The idea of a society lady appearing on stage was original, sensational and scandalous. The critics reported on all her appearances but did not take her performances seriously. However, in the course of time, it became clear that Langtry was a capable actress who endeared herself to the public. Although Langtry maintained her relationship with Edward until he succeeded to the throne in 1901, she reserved the privilege of having many other lovers. She toured the United States where she attracted an enormous following. One of her admirers was Judge Roy Bean who founded the town of Langtry in Texas. Bean named the town saloon the Jersey Lily and held court there, with a portrait of Langtry in place of national and state flags. Bean built an opera house in the hope that Langtry would come to his town, which she did in due course but only after he was dead. 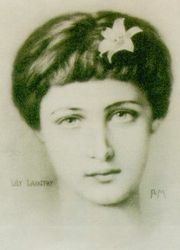 Lillie Langtry with a Jersey Lilly (Amaryllis Belladonna) in her hair.